to create the portfolio thumbnails in my sidebar. 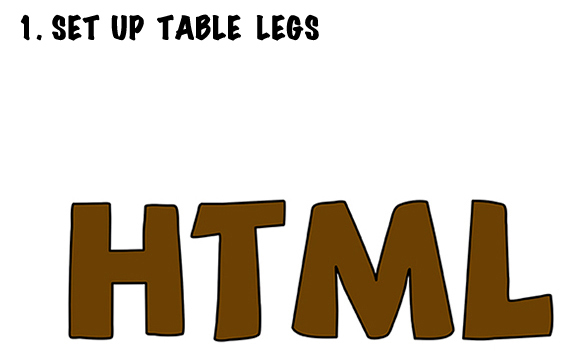 of HTML table tutorials on the web, but no jokes. Clearly this needs to be remedied. 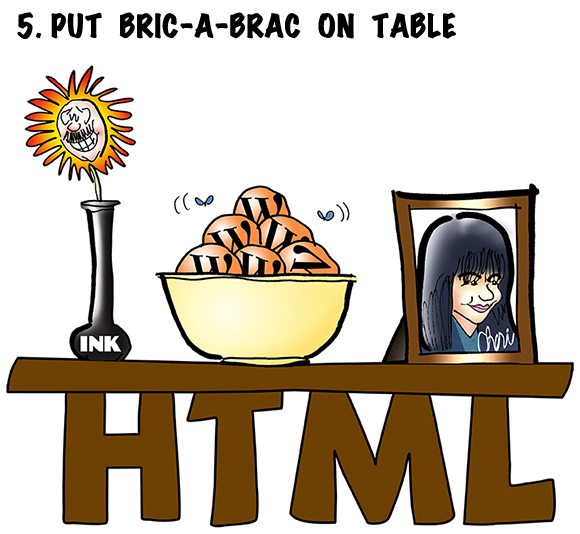 So without further ado, here’s how to build an HTML table and then decorate it– tastefully, of course– in 5 simple steps. What do you think? Do flowers really do well in ink? Am I gonna get in trouble for having those two flies buzzing around the WordPress icons? Hope you’ll leave a comment. Bible Scholars Stunned: Forbidden Fruit May Have Been… A Shoe! 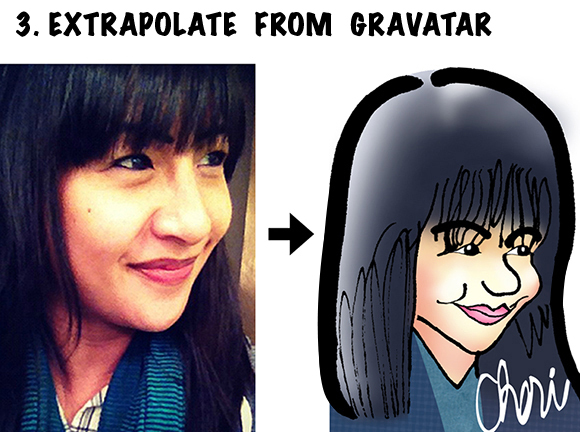 I must admit, HTML humor is definitely on the obscure side, not to mention an acquired taste. BTW: I don’t own a cell phone of any kind, so you’re way ahead of me in the tech-savvy department. Thanks, Amelie, for stopping by! Ha! this is great! 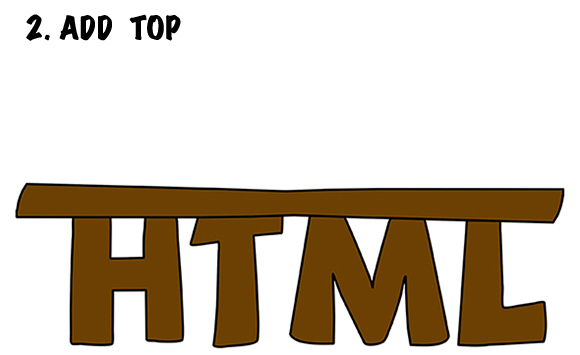 and yours is the first joke I’ve seen about a HTML table!! congratulations!! Looks like I got an earlier cache of this post in my feed reader and e-mail notifications, so, hopefully this will make sense to you: no eyes glazing over here, but I may set some *other* eyes glassy if I explained that I *do* somewhat understand the concept of HyperText Markup Language, and also HyperText Transport Protocol (http://) and Universal Resource Lookup (URL). Ah– you must have read the little excerpt I wrote about the post: HTML => glazed peepers. And that’s certainly the case for me. In fact, I got a triple glaze when I read the last part of your first sentence above! I’m mightily impressed, Jak, that you have a good working knowledge of such concepts. Thanks so much, Vanessa. Delightful to have you here, and I sincerely appreciate your very kind comment. I suppose there are occasions that call for complete seriousness, but humor always seems to introduce a needed element of tension-reduction; it helps us cope with dark times, and it makes us more receptive to new ideas during “regular” times. At least that’s been my own experience. Thank you for emphatically ringing the bell here at the Armstrong Flower Emporium!! 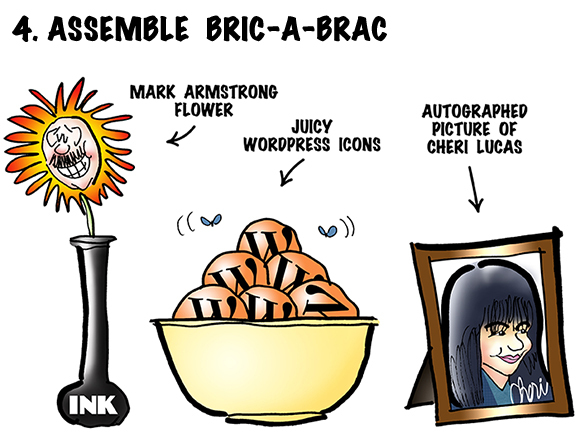 You’re right Mark, life’s all about the bric-a-brac:-) I always love seeing how you put your masterpieces together! “Masterpieces”… you certainly have a wonderful way with words– and I appreciate it! Thanks, Tracey!! Well done, Mark, I enjoyed both interviews. It was good to see the ‘other side’ to Mark Armstrong the Illustrator…! We are very familiar with the light hearted man with the Photoshop pen; we don’t often get the opportunity to see the ‘worker’ behind the scenes. I must say I love your blog’s layout. It is colourful, and it is inviting. The comment you made regarding consistency in regard to the blog’s ‘face’ is so important. We (humans) do well with familiarity; most of us abhor change (me, not included)! To see your colourful and witty heading, for example, allows the reader to immediately relate to you as an illustrator, with all the entanglements of the ‘comic’ attached. I’m glad you enjoyed the interviews, and I sincerely appreciate your interest. We all like to blab a bit about our work, and there are few things in this world more endearing than someone taking a genuine interest. I really can’t thank you enough. It’s a tricky business, trying to balance the new with the familiar. An artist would quickly lose his fans without new work, but I think people appreciate seeing the new in a familiar setting. Kinda like browsing for new finds in an old familiar bookshop. Hopefully, my blog creates a similar ambiance. I now want my own HTML table with a signed photograph of the one and only Mark Armstrong!! A signed photo of the one and only Mark Armstrong?? My dear fellow, think what you’re asking– those have been known to go for thousands of dollars/pounds!! I’d say WordPress would be delighted with the flies because they’re all a-buzz about the good things going on in the blog world … in particular … your blog. Another hit, Mark! I would say that this comment manages to combine an excellent pun with enormously endearing flattery and absolutely top-of-the-line support, all delivered by a truly excellent, enormously endearing, top-of-the-line personality. Mark, you truly make my day. I’m sure no one appreciates my SINCERE Blarney as much as you do. Thank you. Thanks for the shout, Mark! Hahah that would be cool! Thank you! They’re flies? I thought they were tiny blue butterflies. Yowee. Gotta get that second eye done! Unfortunately I don’t know much about HTML. Well, enough to get me into a lot of trouble. It’s the bold thing, right? Yes, yes, yes– the bold thing!! You got it! You’ve become an instant HTML expert! Now you’re more dangerous than ever! !